The Vivotek SD8311E has been discontinued by the manufacturer. The suggested replacement is the Vivotek SD8314E. For more information or if you have questions please call 800.398.8647. 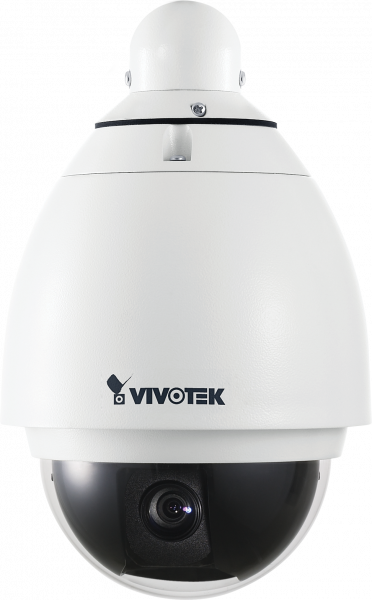 The Vivotek SD8311E is an outdoor, PoE Plus PTZ speed dome with exceptional frame rate at 60 fps. At 720x480 resolution, the SD8311E allows for H.264, MJPEG and MPEG-4 compression formats over multiple streams. The SD8311 has a D1 Sony EXview HAD CCD Sensor and produces amazing pictures with Vivotek's WDR Pro technology. The Vivotek SD8311E has a full 360 degree continuous pan and a 90 degree tilt. Combined with an 18x Zoom auto-iris focus lens, the SD8311E makes it easy to identify objects or people at great distances. With IP66-rated exterior, this Speed Dome outdoor IP camera can withstand dust and rain making it perfect for use in outdoor parking lots, airports, malls, and campuses.